HRH Doom Vs Stoner Festival 2017 will take place at O2 Academy in Sheffiled, UK on 30 September 2017 – 01 October 2017. 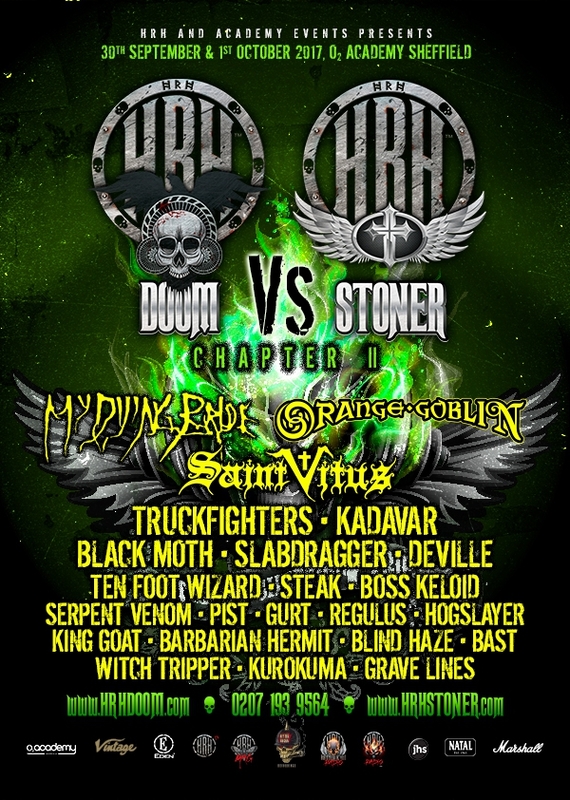 St Vitus, Orange Goblin and My Dying Bride are among the bands that will perform at HRH Doom Vs Stoner Festival 2017 festival. Deserfest London 2017 will take place in Camden London, UK on April 28-30, 2017. 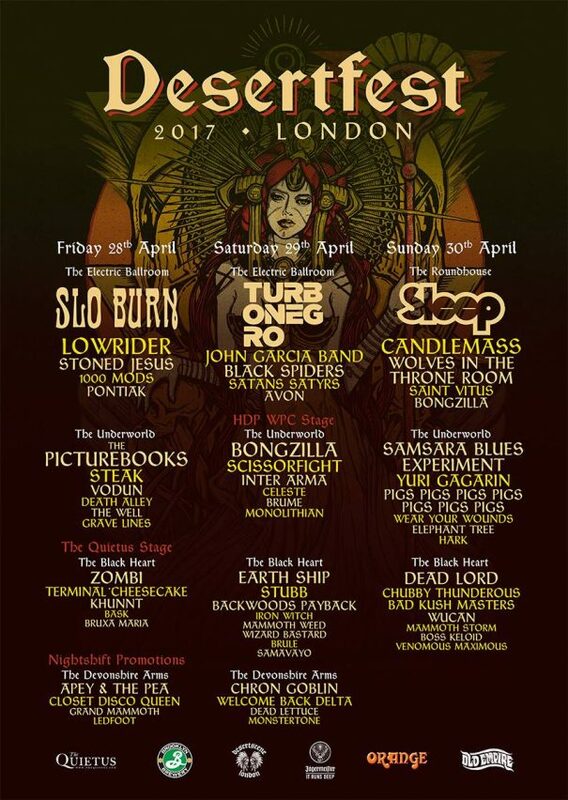 Sleep, Candlemass and Turbonegro are among the bands that will perform at Deserfest London 2017 festival. Mammothfest 2016 will take place at The Green Door Store, The Concorde 2, The Prince Albert and The Haunt in Brighton, UK on September 30 – October 02, 2016. 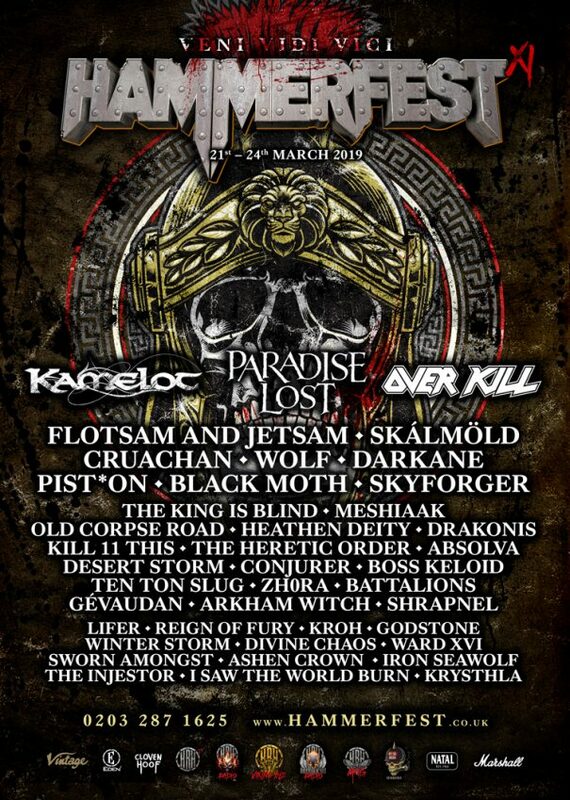 Venom Inc, Textures and Conan are among the bands that will perform at the Mammothfest 2016 festival.